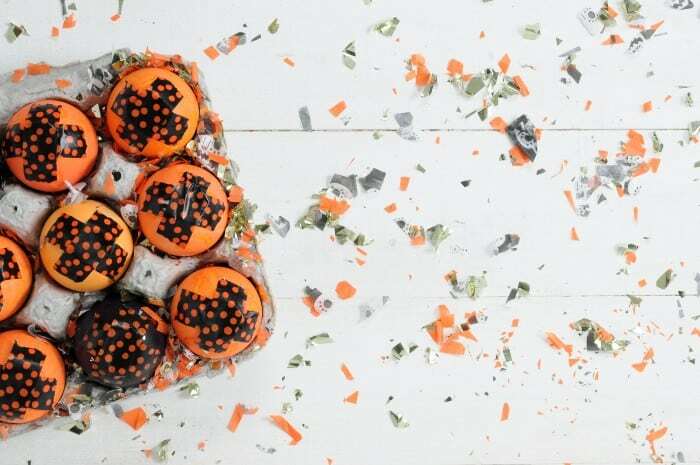 If you want to decorate for Halloween without breaking the bank, get festive with one of these 15 recycled Halloween crafts! 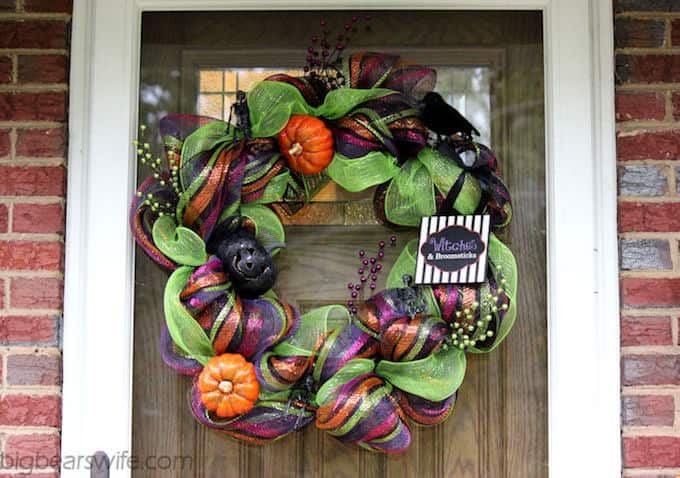 I think everyone should decorate for Halloween! 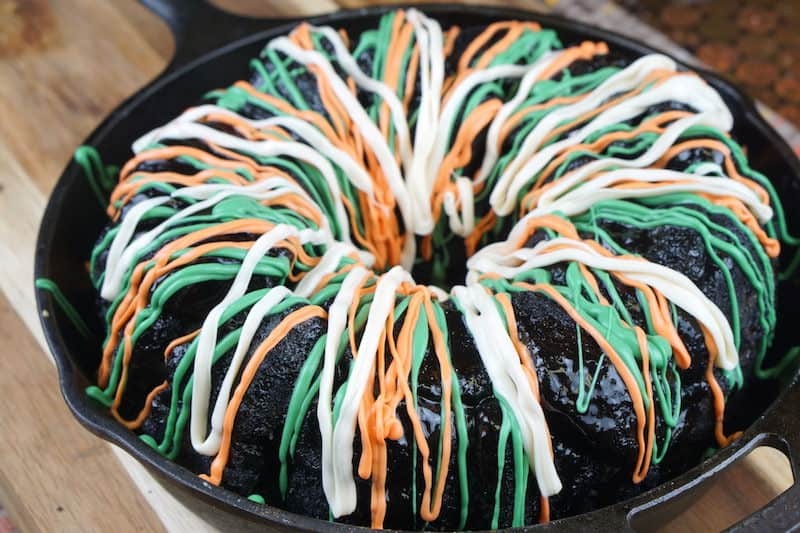 That’s because it’s my favorite holiday, so of course I go all out. I also realize that decorating for the holidays can be a little bit expensive . . . so what if you want to celebrate but don’t want to spend the money? That’s where these recycled Halloween crafts come in! Use this collection of great ideas to add a festive touch to your decor without breaking the bank. All you need to do to get inspired is scroll down. 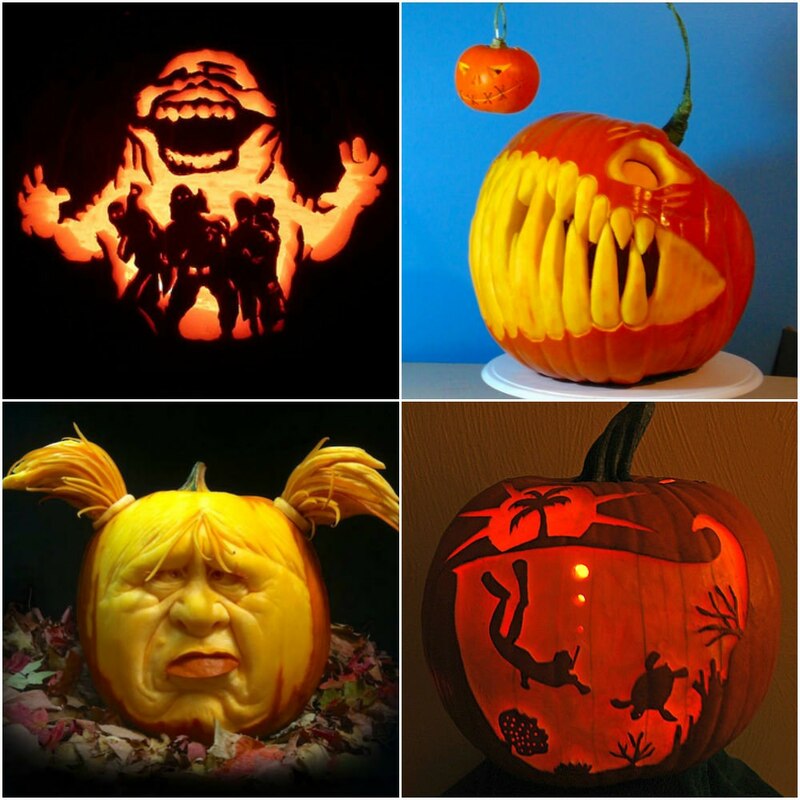 Which of these Halloween crafts is your favorite? You can use any recycled glass jars along with tissue paper and decoupage medium to make these festive lanterns. 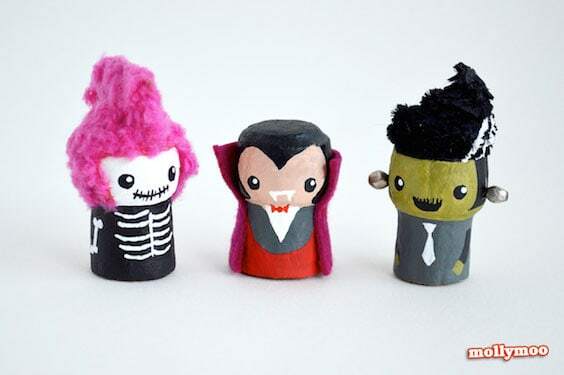 These could be the cutest Halloween monsters I’ve ever seen – and they are made from old corks. Don’t throw those old wine bottles away – add paint to turn them into pumpkin creatures. You can make an awesome Halloween centerpiece out of an old torn or damaged book. 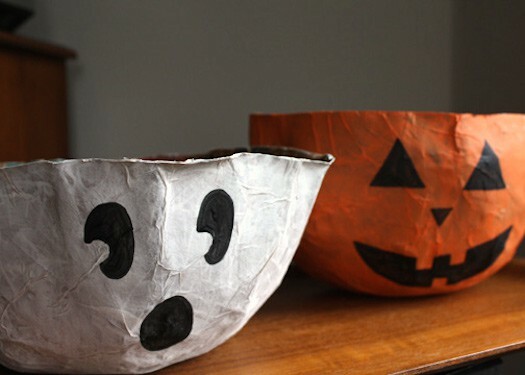 These cute Halloween bowls are easy to make with paper bags and acrylic craft paint. Turn old baby food jars into the most adorable night lights ever. Miya used boxes, a cardboard roll, and a soda bottle to make this recycled Halloween chandelier. 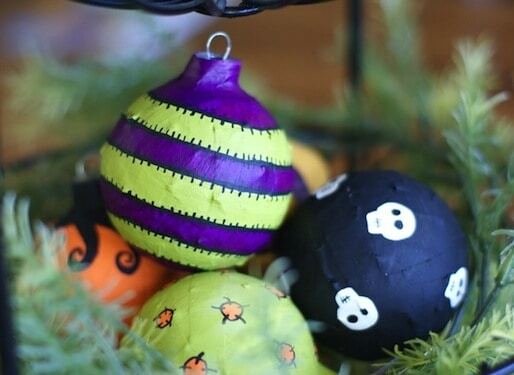 Use old Christmas ornaments and newspaper to create Halloween ornaments. Use old paper bags and Mod Podge Stiffy to create a gothic inspired candy bowl. Walter used an old box and plastic bottle caps to make a fun Halloween tic-tac-toe game. 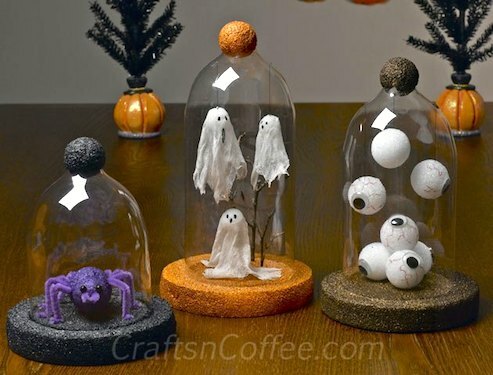 Make faux cloches using 2-liter bottles – and put any kind of Halloween knick knacks you want inside. Use old plastic bottles and your favorite paint colors to make these candy holding monsters. 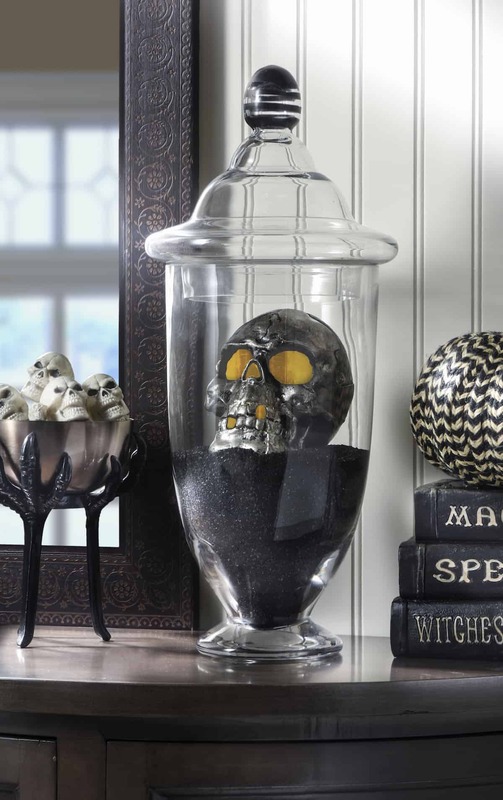 Use an assortment of old bottles along with matte black paint to create these potion bottles. Plenty of thrift stores have old keyboards – and you can use the keys to make a fun pumpkin! Do you have a few extra milk cartons? Save them and turn them into a happy skeleton.